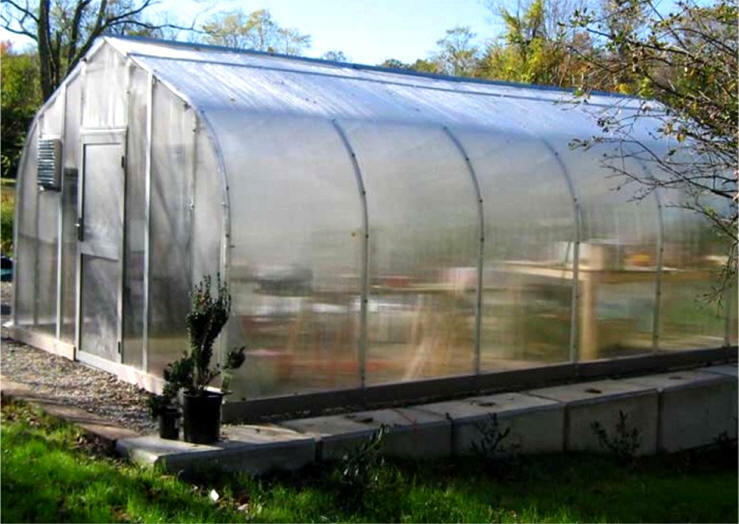 Gothic Style Solar Star™ Greenhouses and Greenhouse Systems are available with solid polycarbonate, greenhouse film with roll-up sides or polycarbonate with roll-up sides. End frame is constructed from strong 14 gauge 1.5" square Allied Gatorshield® structural steel tubing. 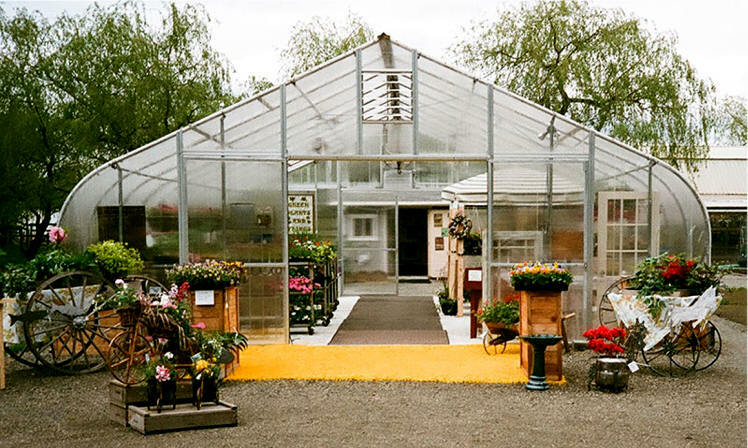 Choose Gothic style featuring polycarbonate ends and greenhouse film top covering or choose Gothic style featuring solid polycarbonate, or polycarbonate with roll-up sides. 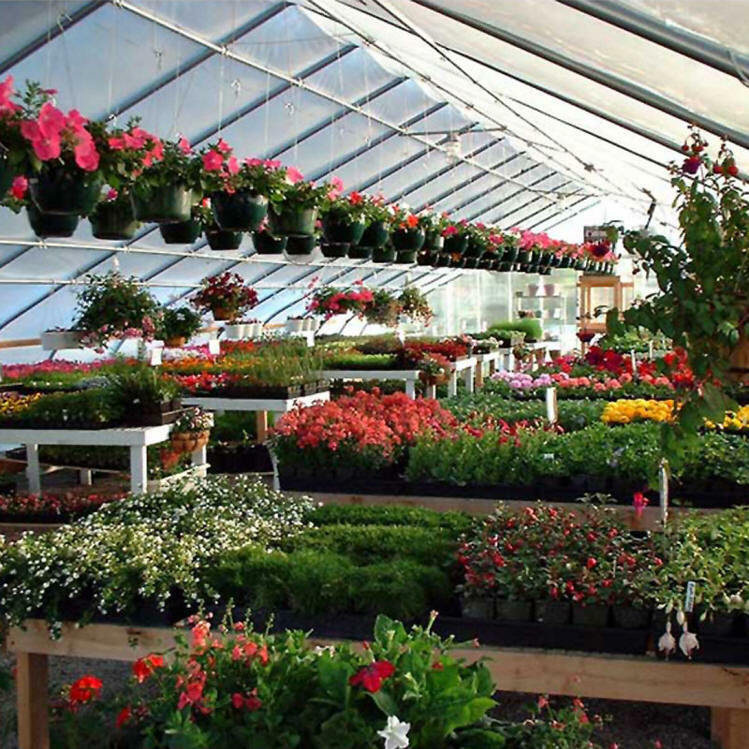 Both are available as stand-alone greenhouses or complete greenhouse systems. 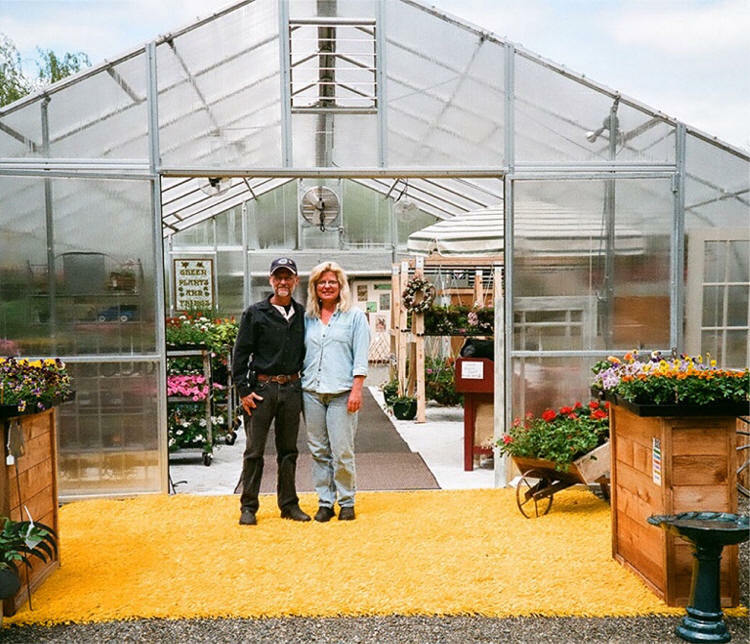 During extreme heat, we recommend our 60% black knitted shade panels, sold separately, to eliminate heat stress and to ensure optimum plant growth.